Are you interested in a sailing yacht or a charter sailboat in Hungary? Would you like to enjoy a sailing trip or sailing vacations in Hungary? Cheap rental of charter boats and yachts wanted? Welcome at Happycharter, your specialist for sailing and sailboat charter. Contact the boat owner directly. This brandnew Dolphin 28 offers a great sailing experience at the wonderful lake Balaton. Well-equipped ship, cherry-wood, roomy interior at an affordable price. Try it now! 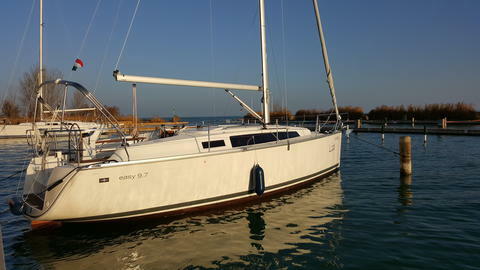 This brandnew Dolphin 28 offers a great sailing experience at the wonderful lake Balaton. 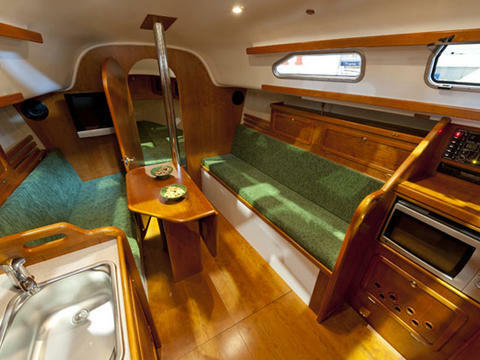 This boat has a steering wheel, teak wood on the cockpit and multimedia system with antenna. Do you offer charter boats (e.g. sailing yacht in Hungary)? Would you like to see your charter yachts at Happycharter? Sign up and make a presentation of your sailboat with us!